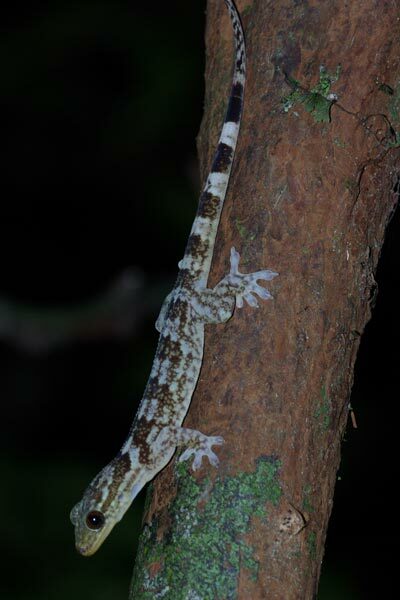 While we were out at night admiring leaf-tailed geckos, our guide Armand spotted this different sort of gecko on a small tree trunk. These geckos are known from only a few localities and are not well studied; it's not even clear whether they are primarily diurnal or primarily nocturnal. They have vertical pupils, as do many nocturnal animals, but they've also been observed being active in the daytime. This one was clearly out prowling at night.